We may know what is best for them. 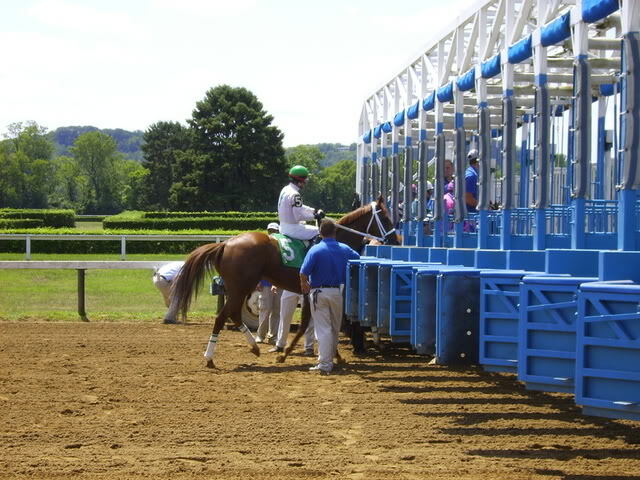 We know our knee jerk reaction to the shouted claim…”You are not the boss of me!” But just as you would never load a racehorse into a starting gate without the considerable and concerted effort of both a trainer and a rider beforehand, you cannot expect a child to do what you’d like them to do, just cuz you say so. The Race. An upset, a tantrum, willfullness or non-compliance are all like being in the race. An untrained yearling can be mighty hard to ride, but in the heat of the moment, that’s your job during the parenting interactions. You are not going to deliver your best parenting during these trying times, and frankly even if you are rocking it, they are not hearing it! Instead focus on safety (theirs, yours and the remote’s,) basic information (You can join us when you are done yelling.) and observe what you need to cover later (They keep trying to engage you in thier drama.) Most of all keep calm. Most importantly, know that your cannot be both rider and trainer at once. You’ll fall off. If you fail to teach, say, appropriate power between the races, you may not fall off, but your horse may stumble in the next race unnecessarily. You get to say.